The Democratic Republic of the Congo (DRC) has been plagued with wars since its independence in 1960 and fighting continues in some areas to date. The people of the DRC have suffered at the hands of nationals, rebel groups and guerrilla armies from neighbouring countries. The cost of warfare has not only resulted in tragic loss of life from, but has also seen loss of property; orphaned children; war crimes, in the form of sexual violence; increase rate of AIDs; degeneration of existing infrastructure; and delayed development. These wars have also increased the rates of death due to malaria, diarrhoea, pneumonia and malnutrition. 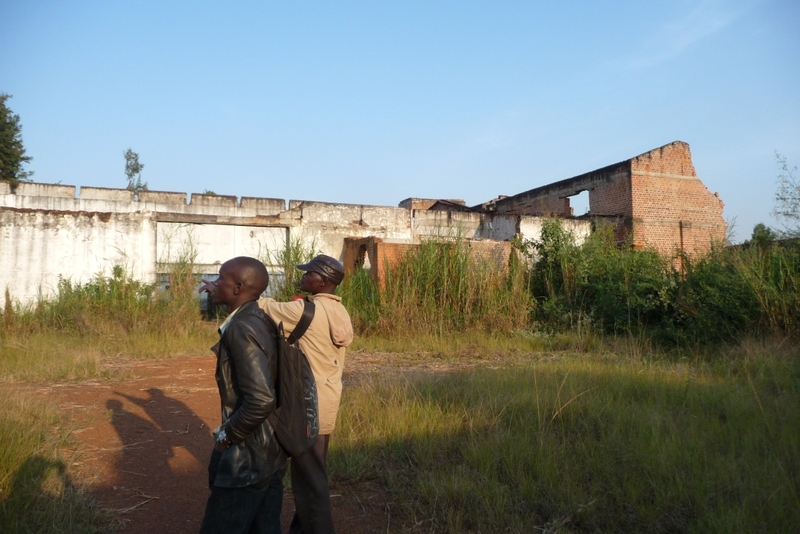 Assessing the damage to an old coffee processing plant, caused by fire in the war.